This article on excessive credit card debt was written and submitted by site visitor Melanie P. of Phoenix, Arizona. 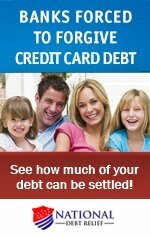 Have you ever wondered how we wind up with excessive credit card debt and what we can do about it? Well, here are my perspectives, along with some advice, if you find yourself in the same situation as me. Many of us own multiple credit cards. They sure are convenient, aren't they? Little pieces of plastic, that let you buy what you want, when you want, and without having to worry if you actually have money at the moment to cover the purchase. 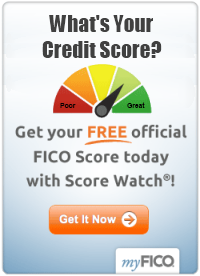 While using credit cards is certainly, it comes with one overriding drawback. Here's a quick analogy to better illustrate my point. Imagine you have two jars that sit on your kitchen counter. You add one dime to the first jar everyday to provide you with the ability to pay for your purchases. The second jar already has a bunch of dimes in it for you to use as you wish. You are just expected to replace the used dimes at some point in future. Now, the stash of dimes in the second jar is always tempting you. It enables you to buy stuff you want, or think you need. With so many dimes in there, it almost seems impractical to use only the first jar for your purchases, and not tap into the second one at all. And when you do put your hand into the second jar, it seems almost equally unrealistic to pick just one dime from it, which is all that is being added to the first jar on a daily basis. Many of us fall into the trap of reaching into the second jar every now and then, in addition to using funds from the first jar for our regular needs. Over time, what happens? This reaching into the second jar becomes a habit. Hey, we'll surely replace those used dimes from the second jar at some point in future. So for right now, let's go ahead and take just a couple more dimes. This illustrates that spending more than we earn becomes habit forming. Worse yet, we don't even realize it, as it happens. At least not until it's a bit too late! In my opinion, that is the biggest drawback of credit cards. It's not the credit card interest rates, even though they are a killer by themselves. Rather it is the destructive habit of spending more than we earn that becomes our biggest failing. That's how we end up with excessive credit card debt. It's like an addiction that we must bring under control. Now imagine having multiple jars with dimes, similar to the second one. That just adds to the complexity of the situation, and to our spending temptation. Plus, we haven't even considered those interest rates and excessive fees that get piled on to our charges... the price we pay for using those dimes in the second jar. Is it any wonder that we end up in excessive credit card debt? And many times, before we realize it? Using the jar scenario, here are my tips... figuratively speaking, that is. For every dime you take from that second jar, you need to imagine as if you are actually taking it from the first jar. That means diligently replacing every dime you take from the second jar with the dimes you have in the first jar. Or better yet, don't use dimes from the second jar at all. Eliminate those additional second jars, keeping maybe one for the occasional added convenience. No jars, no temptation! You find your self with excessive credit card debt because each purchase you make does not automatically connect to your bank account. You have to make that connection yourself!